Here are five new fantastic destinations for drinks to consider checking out in and around Pittsburgh. Remember, safe transportation is inherently important any time you decide on drinking with friends. For more information on transportation options, check out Party Bus Pittsburgh PA. In the meantime, read on for more details on these fresh establishments in the area. This newly opened Italian restaurant in Blawnox has an intimate atmosphere as well as high quality food and drinks that all will enjoy. From classic Italian cocktails like the Negroni and Basil Margarita to an extensive wine list, there's quite a lot to take in when it comes to the drink menu. Come enjoy the low key environment and welcoming staff at this new pub in downtown Pittsburgh. We're sure you will love their inventive drinks here. Don't leave without trying their "Grandma's Liberation Libation" which is a draft beer of your choice, a shot of whiskey, and a piece of hard candy. While the brewery itself is located in McKees Rocks, this newly opened taproom near the North side is a smaller establishment with an industrial vibe. Why not enjoy a flight of awesome brews at this taproom? The orange IPA is extremely tasty and the perfect addition to any day with the warmer weather. This cocktail bar is located inside of the Oaklander Hotel. You are sure to be impressed by the ambience as soon as you walk in. 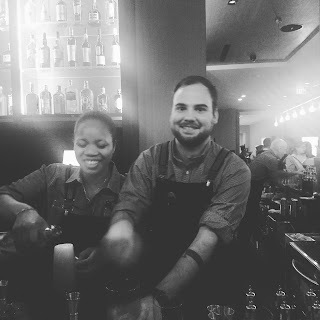 Their hand crafted cocktails are made with local spirits, so you can feel good knowing that you're supporting local businesses when you come here for some drinks with friends. This craft distillery, cocktail bar and event venue is making a splash over in the Strip District. Seemingly every detail has been thought out here, down to their ice cubes adorned with their butterfly logo. Tasting pours are $4 for an ounce, and their cocktails are very affordable at $9 when you consider the size.